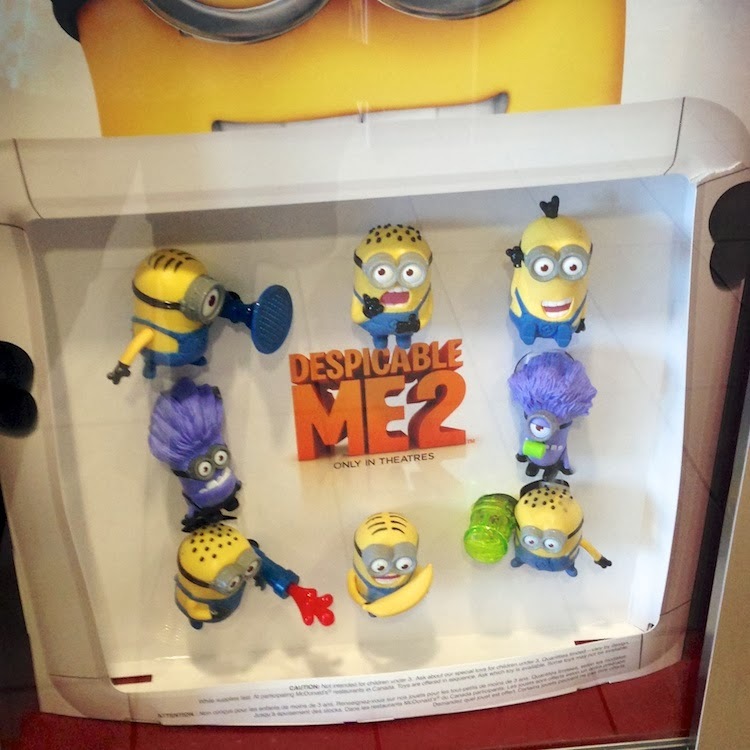 I recently made it my mission to collect all the Despicable Me minions hidden inside McDonald's Happy Meals right now. I am absolutely infatuated with these little guys. I think they're so adorable. I have seven out of the eight toys available in Canada. There are actually a lot of different toys. Check them all out here -- some are exclusively available in certain countries, though. From l-r: Dave (the banana babbler), Phil (with the jelly whistle), Purple minion, Jerry (with the chartreuse whistle), Tim (the giggler), and Stuart (with the fart blaster). I'm only missing one of the purple minions. I have Tom, he was the very first one I acquired, but he's just not picture here. 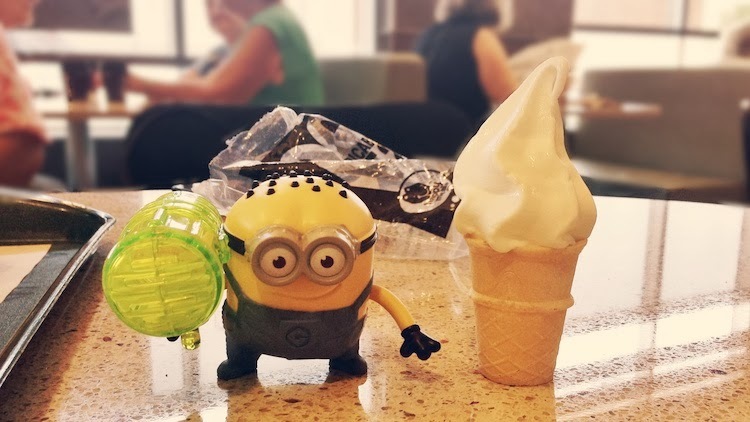 The happy meals also came with a coupon for a free kiddie cone, which I, of course, shamelessly cashed in on. They're so tiny but still delicious! They are so cute ! ahhh so lucky! So far I've only got four! The missions I've been on just to get them though lol. They are sooo cute!